Penycae Golf Break Weekend staying at the The Ancient Briton Hotel. There are 6 Golf Courses within 12 miles of the The Ancient Briton Hotel. Click on the map markers at the bottom of the page to view the golf club and hotel information. 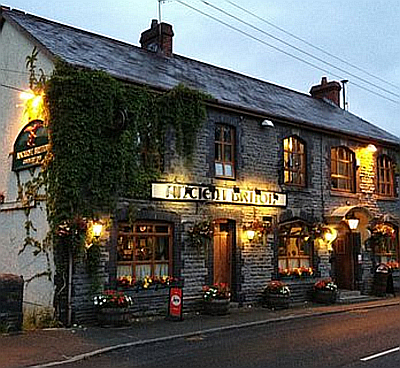 Arrive in Penycae and check in to the The Ancient Briton Hotel. Evening meal at the The Ancient Briton Hotel Restaurant. A round of golf at either Palleg and Swansea Valley Golf Course, Glynneath Golf Club or Garnant Park Golf Course followed by dinner at the clubhouse or back at the The Ancient Briton Hotel. Check out of the The Ancient Briton Hotel, and then try a round of golf at Pontardawe Golf Club, Neath Golf Club or Inco Golf Club before heading home. Step 1 Provisionally book rooms at the hotel. Step 2 Check availability and Tee times at your prefered courses. Step 3 Firm up all bookings. We are a directory service only. Distances are approximate (based on as-crow-flies).